Once upon a time, we considered white sneakers a trend—remember when they emerged alongside the rise of athleisure? Flash forward to 2018 and the comfortable footwear has earned staple status. Same with leggings—no matter which side of the controversial leggings-as-pants debate you stood on, you can't deny their ubiquity. What I'm trying to say is that comfort is slowly taking over our wardrobes. The next trend on deck? Sleepwear. Nightgowns, satin pajama shirts, and matching sets are all a part of this growing micro-trend. There's a wave of stylish sleepwear brands like Sleeper, whose dreamy nightgowns are way too pretty to be worn solely for sleeping. While I'm not suggesting that you actually roll straight out of bed and into the day's itinerary, I think there's something to be said about wearing something ridiculously comfy and calling it fashion. Ahead, see the sleepwear trend in action IRL and shop our breakdown of the key pieces. A pair of sleek mules and a classic handbag make it clear that a nightgown is meant to be worn during the day. 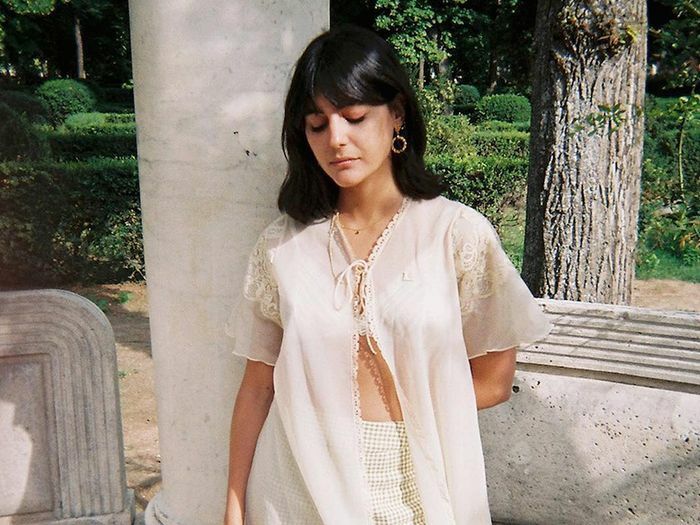 Layering a sheer nightgown over pants is like the 2.0 version of wearing a wrap dress over jeans. Did you ever imagine a nightgown would make such a cool beach coverup? One silk pajama shirt, two ways. I mean, these sleeves are way too "extra" to be worn just for sleeping. Matching pajama sets like these make binge-watching Netflix look like a "moment." Have you ever looked so cool while lounging? If you'd like to receive more useful info on the latest trends, sign up for Who What Wear's daily newsletter.